Sensation in Los Angeles: the Porsche 911 is now entering its eighth generation. 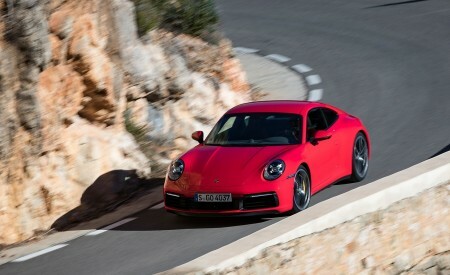 The new 911 celebrated its world premiere on the eve of the Los Angeles Auto Show. It continues to set the standard when it comes to exclusive sporting performance. 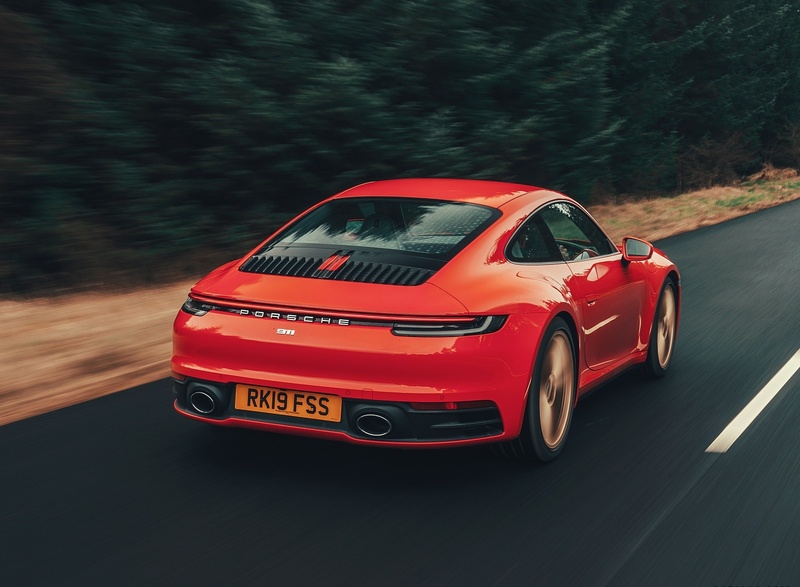 Unmistakably true to the ethos of Porsche design DNA, the new 911 features a much more muscular stance, and an interior featuring a 10.9-inch touchscreen monitor. 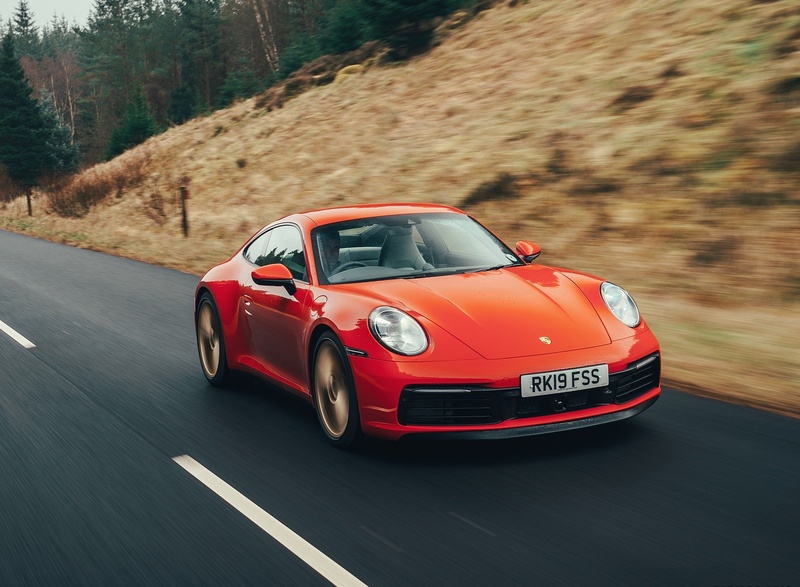 Consequently, the new 911 is both timeless and contemporary. 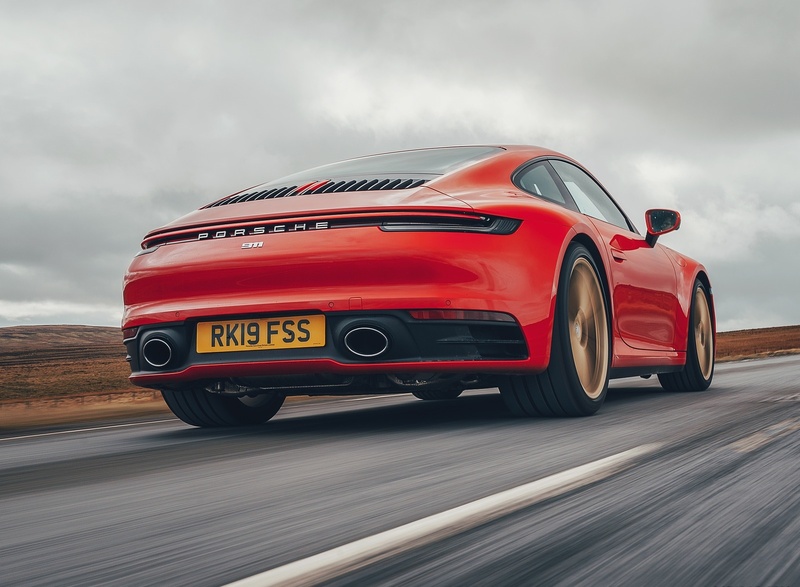 Intelligent control and chassis components together with innovative assistance systems have led the engineers and designers to balance the benchmark driving experience that the iconic rear-engined sports car is famed for, with the increasing demands of the digital world. 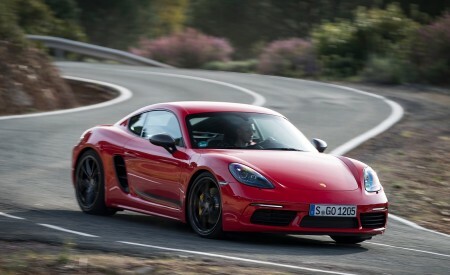 The next generation of flat-six turbocharged engines has been further developed and is more powerful than ever before, with 450 PS (331 kW) now standard in the S models. Efficiency has been increased via an improved direct fuel injection process and a new arrangement for the twin turbochargers and charge air cooling system. 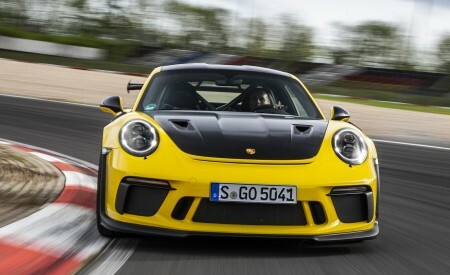 The power is fed to the wheels by a new eight-speed dual-clutch PDK transmission. 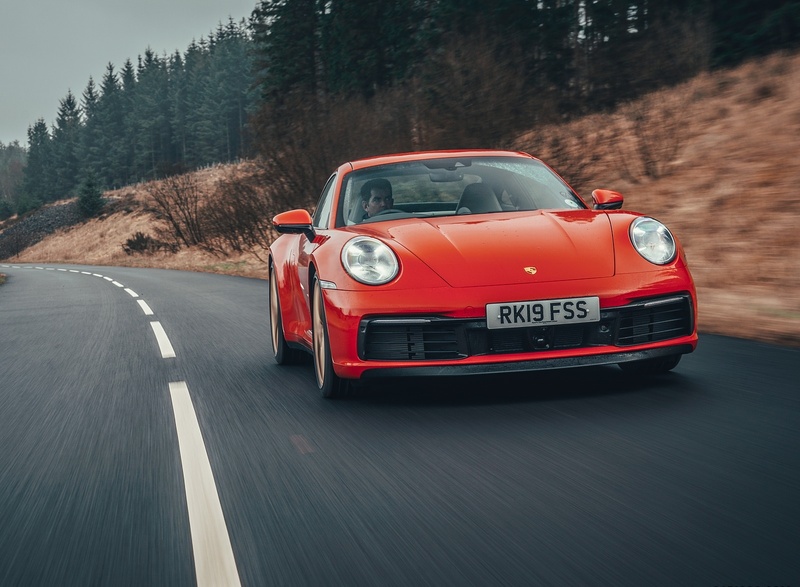 Additional highlights include new assistance systems, including Porsche Wet mode that helps modulate the car’s behaviour on wet roads, Night Vision Assist with thermal imaging camera, supported by comprehensive connectivity that now also uses swarm intelligence. 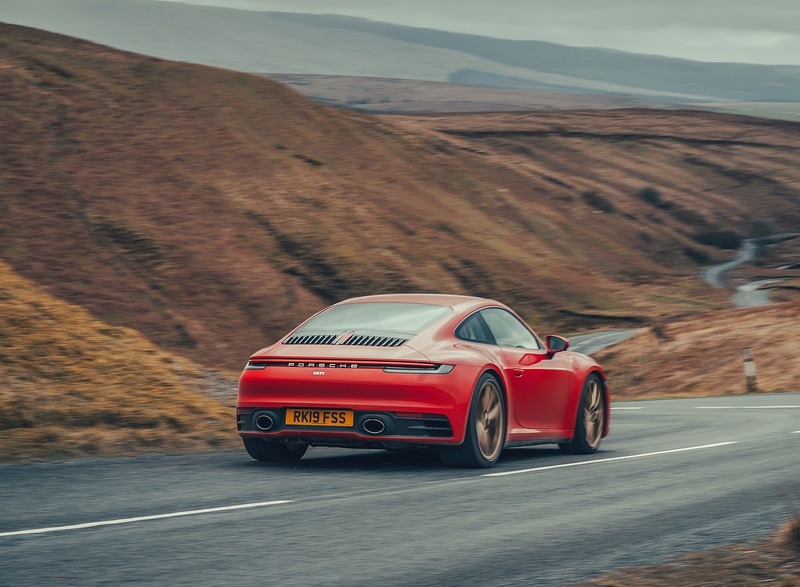 In the UK, the features of the 911 are rounded off by two further exclusive digital offerings: the Porsche Road Trip app for extraordinary tours, and the web-based Porsche Impact emissions calculator for neutralising your individual carbon footprint. 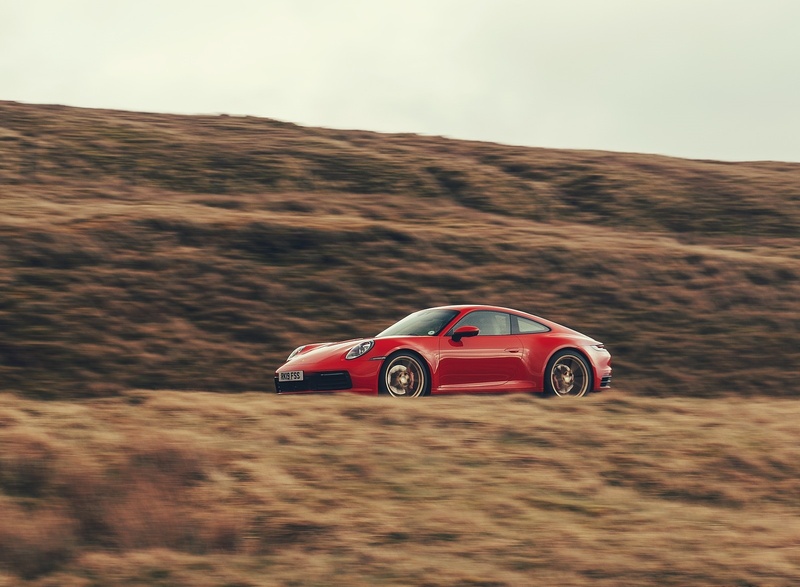 The turbocharged flat-six engine of the 911 Carrera S and 911 Carrera 4S now produces 450 PS (331 kW). This corresponds to an increase of 30 PS (22 kW) compared with the previous model. 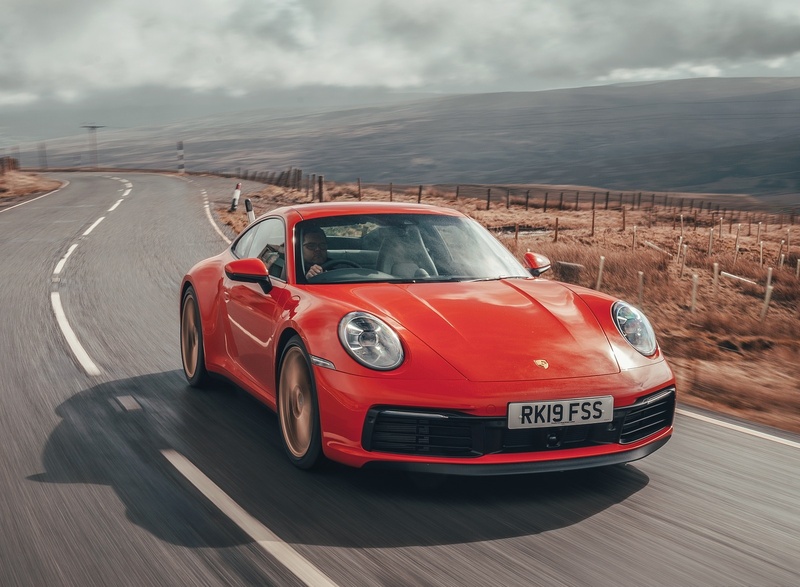 Both 911 models can accelerate from zero to 62 mph in under four seconds: the rear-wheel-drive Coupé can achieve this benchmark in 3.7 seconds and the 911 Carrera 4S with all-wheel drive in 3.6 seconds. This makes both cars 0.4 seconds faster than the previous model in each case. This advantage is increased by a further 0.2 seconds with the optional Sport Chrono Package. 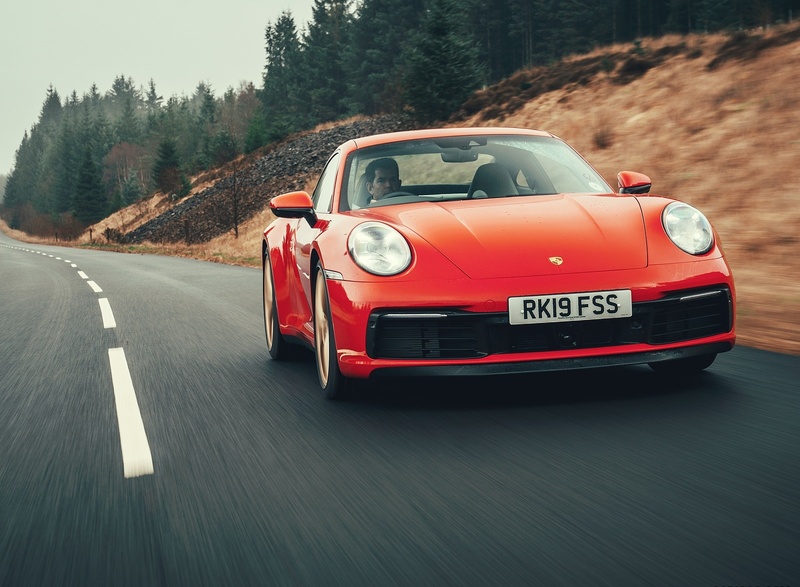 Where permitted, the top speeds are now 191 mph (911 Carrera S) and 190 mph for the all-wheel-drive version. 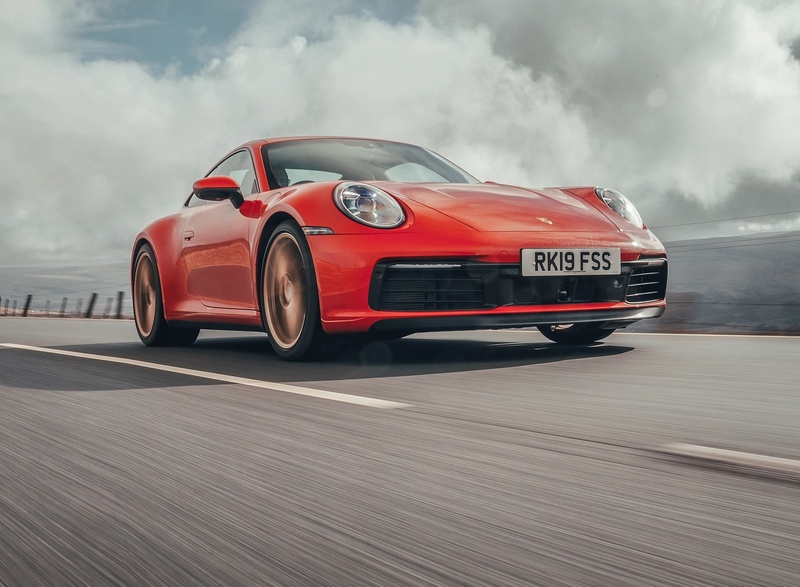 The fuel consumption (NEDC-correlated) of the 911 Carrera S is 31.7 mpg (8.9 l/100 km) Combined (equivalent to 205 g/km CO2), while the 911 Carrera 4 S records this figure as 31.4 mpg (9.0 l/100 km) Combined (equivalent to 206 g/km CO2). 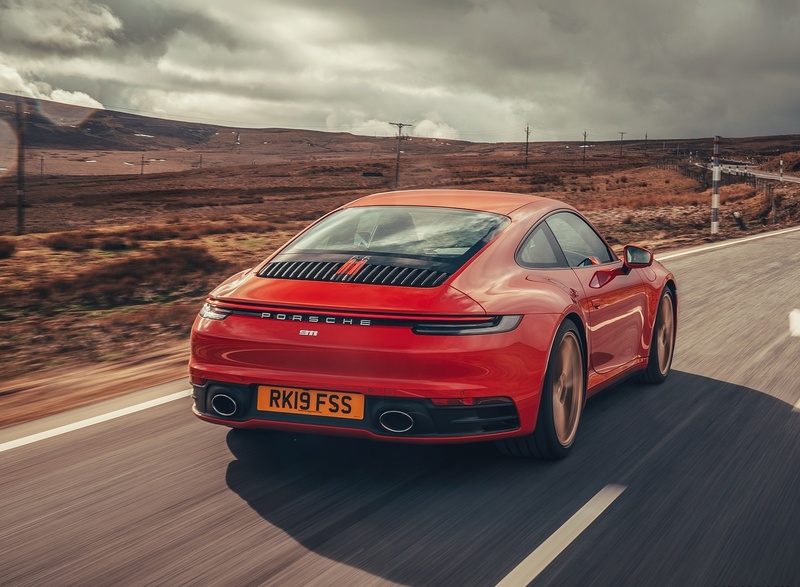 The exterior design is completely new and emphasises the leap in performance for the 911 Type 992. Significantly wider wheel housings arch over the 20-inch diameter front wheels and 21-inch diameter rear wheels. The rear shoulders of the car are now the same width across all models, further highlighting the slim line centre section. Flush integration of the electric pop-out door handles further emphasise the tapered and smooth side contours. The entire outer skin of the body is now made from aluminium, apart from the front and rear sections. 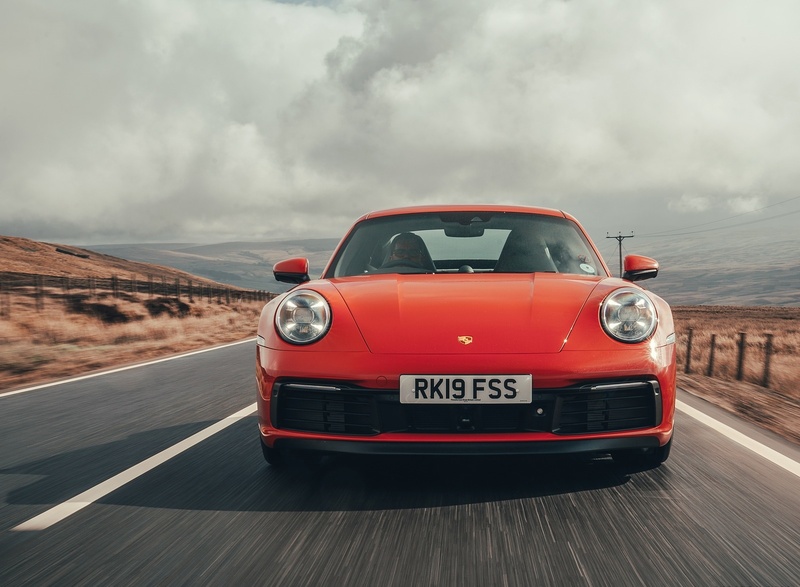 Across the nose the body is 45 mm wider, and between the new LED headlights lies a subtle yet distinctive styling feature; a bonnet with a pronounced recess that evokes the design of the first 911 generations. 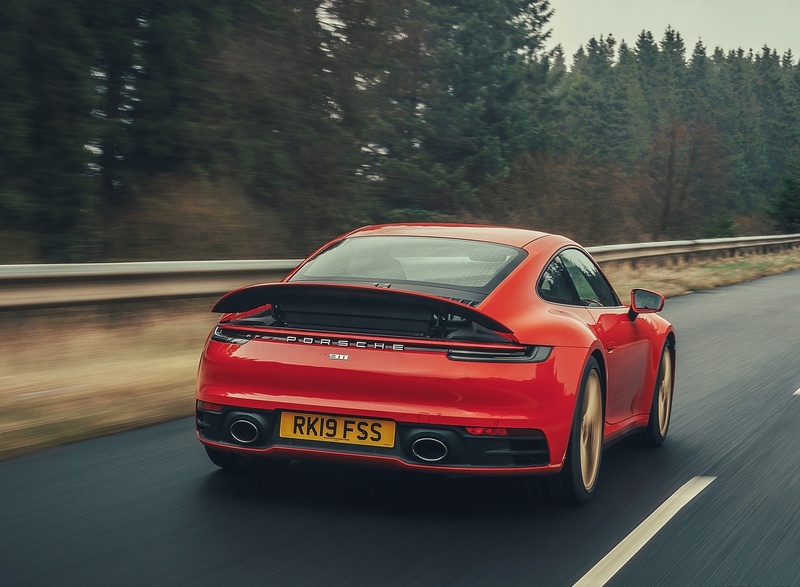 The rear of the new 911 is dominated on all models by the significantly wider, variable-position rear spoiler. Beneath the spoiler lip and spanning the width of the car is a seamless light bar, a now familiar element of the Porsche design language. The completely new interior is characterised by the clear and straight lines of the fascia design with recessed instruments. 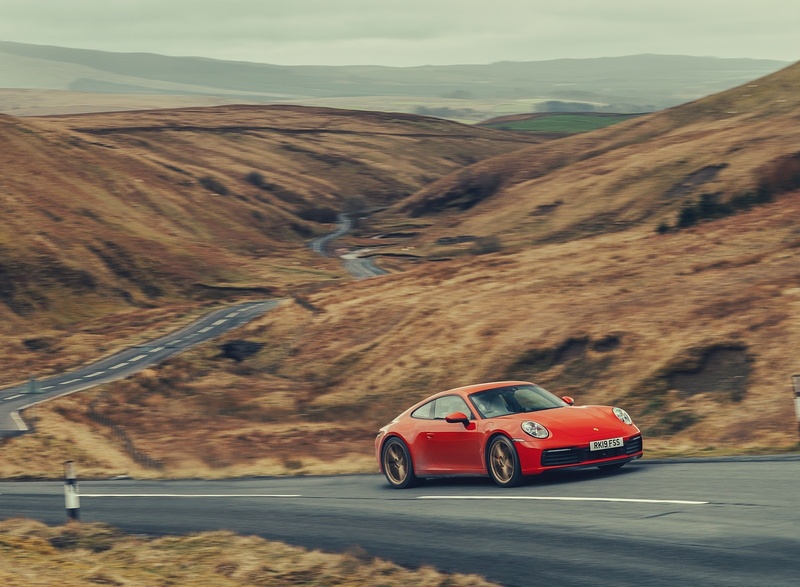 The 911 models from the 1970s provided the inspiration here. Alongside the central rev counter – typical for Porsche – two thin, frameless freeform displays supply further information to the driver. The centre screen of the Porsche Communication Management (PCM) is now 10.9 inches, and can be operated quickly and without distraction thanks to the new architecture. Located beneath this there is a compact switch unit with five buttons for direct access to primary vehicle functions. In terms of digitalisation, the 911 takes the next step into the future with permanent connectivity as well as new functions and services. 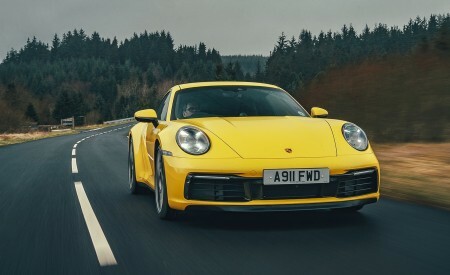 Feature highlights of the PCM include online navigation based on swarm data as well as Porsche Connect Plus. 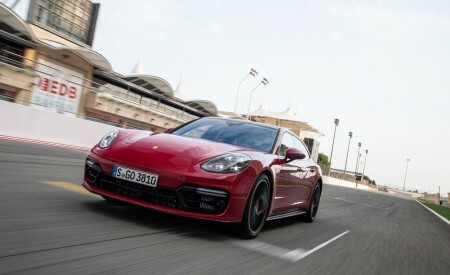 In a world first, Porsche has developed Wet mode, included as standard. This function detects water on the road, preconditions the control systems accordingly and warns the driver, who can then set up the vehicle for a particular emphasis on safety, by simply pushing a button or using the mode switch on the steering wheel (when Sport Chrono Package is specified). The warning and brake assist system, also fitted as standard, detects the risk of collisions with moving objects and initiates emergency braking if necessary. Night Vision Assist with a thermal imaging camera is optionally available for the 911 for the first time. The adaptive cruise control option includes automatic distance control, stop-and-go function, reversible occupant protection and an innovative autonomous Emergency Assist function. 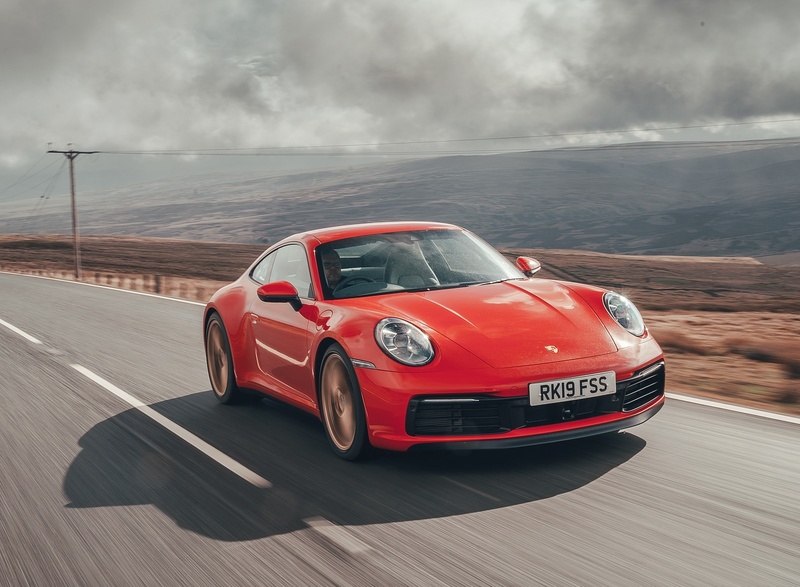 The 911 Carrera S Coupé with PDK costs from £93,110.00 RRP and the 911 Carrera 4S Coupé with PDK from £98,418.00 RRP. 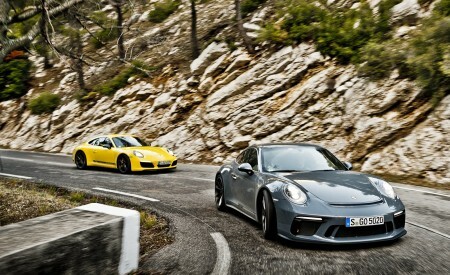 Both models are available to order from Porsche Centres in the UK and Ireland from today. 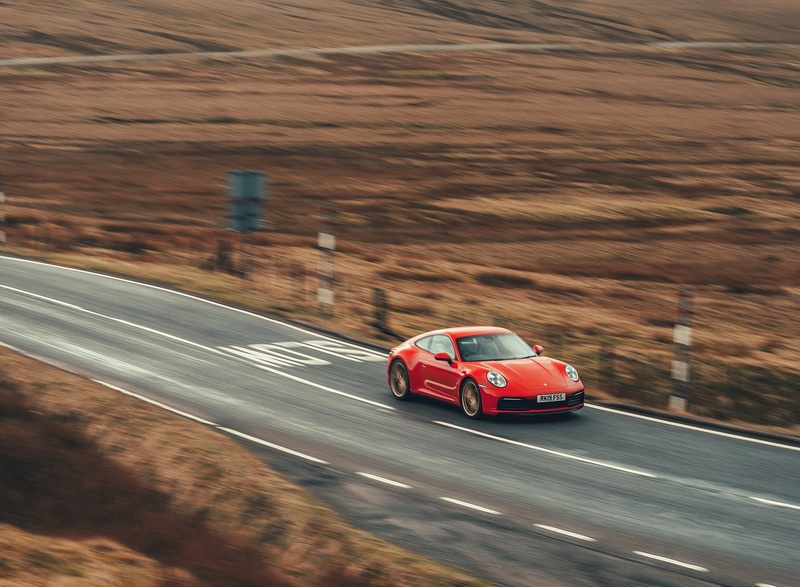 ‘Porsche Road Trip’ supports car enthusiasts in planning, organising and navigating special trips. The curated routes it offers include exclusive hotel and restaurant recommendations as well as points of interest and viewpoints along the route. ‘Porsche Impact’ is an emissions estimator. 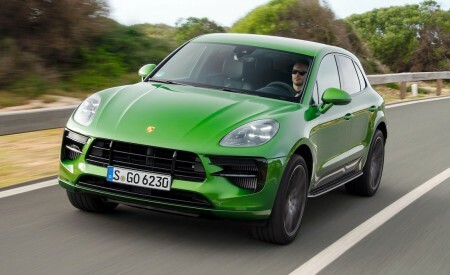 It estimates the financial contributions that Porsche customers can pay to offset their CO2 footprint. They themselves can choose the internationally certified climate projects in which to invest. The projects available are spread out all over the world and focus on biodiversity, hydro and solar power, as well as forest protection.